Gambit Board Game – A strategy game for all ages! Race your marbles from one end of the board to the other. The only thing standing in your way? Your opponent, who is heading towards you, trying to kick you back to the beginning. Move strategically to avoid your opponent, move your own pieces into the end zone, or bump their pieces back to the starting line - that's your Gambit! But, don't get your pieces stranded - or it's game over! This original configuration for playing Classic Gambit uses a single marble in each row, and is referred to as a 6x1 set up. The game ends when one player has moved all of their pieces into the opposite end of the Gambit Board. For players that want to take it up a notch, use our 4x2 Strategic Gambit configuration where both side rails are out of bounds. The middle of the board becomes a battle zone with sixteen pieces trying to push through to safety. Need a quick game to decide a best-of-three tournament? The 4x1 Speed Gambit format lets you play a game in under ten minutes - outside rails are out of bounds as your four pieces advance down the Gambit Board. Now available through Etsy online! 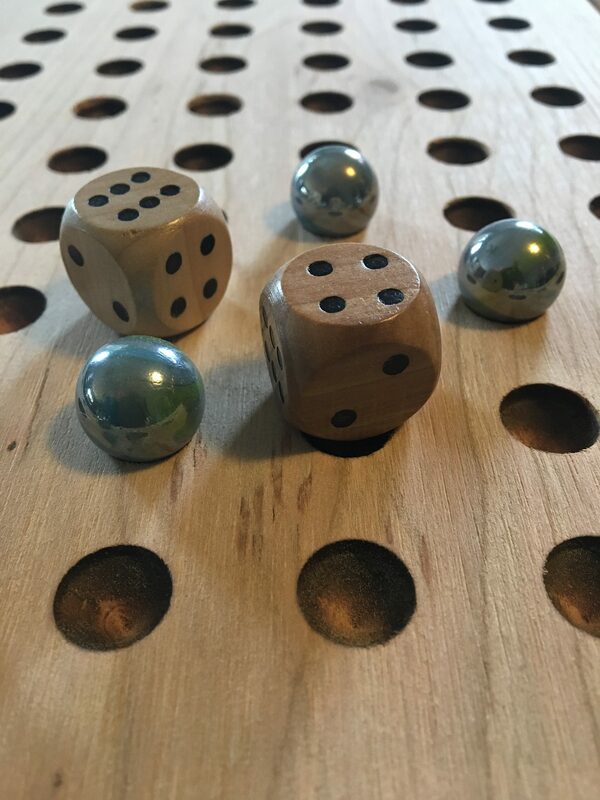 Gambit Boards are available for order now on Etsy in pine, oak, cherry or mahogany - visit the site today to place your custom order and have it shipped through Canada Post.